“If you get sick, you need to ask yourself, ‘what did I do wrong?’” I heard this many years ago, but I’ll never forget it. 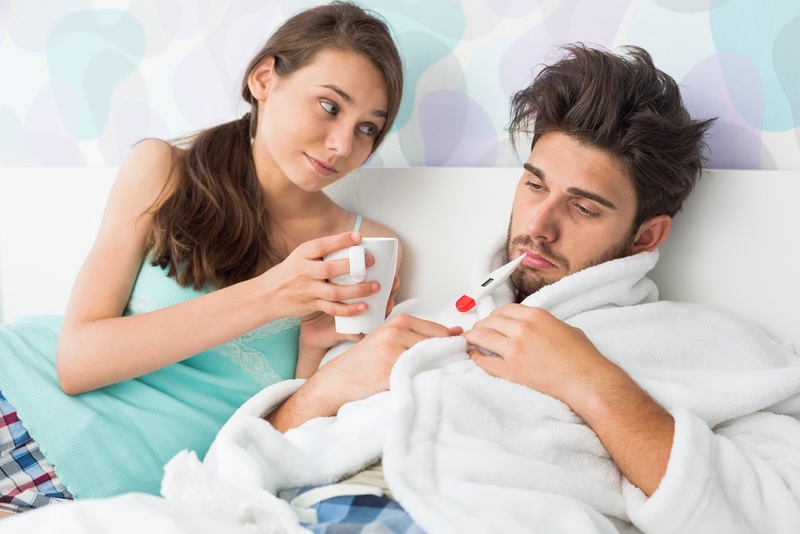 While there are of course exceptions, you can usually apply it to your average cold and flu. If you are a healthy adult, you don’t need to follow the masses and keep getting sick each cold and flu season. You can stay healthy this year and here is how to do it. Avoid touching your mouth, nose, eyes and ears when you are in public as all these areas have a direct connection to your upper respiratory tract. Wash your hands regularly. Use comfortably hot water, lots of soap, take your time, scrub vigorously and rinse thoroughly. Also in public, be sure not to re-contaminate yourself by using a paper towel to turn off the tap and open the door. Hand sanitizers are great for times when you do not have access to hot water and soap for washing your hands. Buy a few bottles and keep them in strategic spots (e.g. sports bag, suitcase, lunch bag, glove compartment, gym bag, etc.). Despite your best efforts to avoid contact with pathogens, you can’t completely avoid them. However, if your immune system is running at full capacity, it will take care of the germs for you so you can take care of business. Here are some things to help. The problem with a well-planned out schedule is that life keeps getting in the way. One of the mistakes I have made countless times is to cram my schedule as tight as I can make it. This greatly increases stress levels and greatly decreases any enjoyment in life. This high level of stress taxes your immune system. Then, when some unexpected trouble pops up, (e.g. the engine light on your car comes on) you kick your immune system while it is already down. When life gets busy, it is easy to tell yourself, “I’m too busy to sleep!” However, what you need to tell yourself is, “I’m goo busy NOT to sleep!” While you might not always get an optimal amount of sleep, get a reasonable amount. If you short-change yourself on sleep, your physical and mental performance will suffer. As a result, everything takes longer and the quality suffers. Also, remember that while sleep quantity is important, you need to also look to maximize sleep quality. We all love to hear about those magical superfoods, but before you start worrying about which vegetable has more phytochemicals, make sure you are actually eating lots of fresh fruits and vegetables on a daily basis. To get the best balance of nutrients, do your best to get produce from a variety of colors. Also throw in some natural spices and teas. Protein is very important for tissue repair and recovery. It will make you strong and help you be healthy. If you are not getting at least 0.6-1g of protein per pound of body weight, stop reading right now and go and eat some protein. Garlic is classic food not just for flavor, but for health. Is antimicrobial, antiviral, antiparasitic and anticancer. Just be sure to brush or have some parsley after eating it as it can also be anti-people. Helicobacter pylori (causes stomach ulcers). Probiotics provide you with friendly bacteria that can improve your gut health and digestion. They also help to reduce the severity and duration of colds. While many choose to supplement probiotics, a better approach may be to use foods such as plain yogurt and fermented foods like sauerkraut and kimchee. Are Your Sets Taking Too Long for Your Own Good? This could be a power nap or just lying and doing some deep breathing from your diaphragm (this means your belly should move out as you inhale while your shoulders stay relaxed and do not rise). This give your body a rest and improve your productivity the rest of the day. Whey protein gives you a convenient, high-quality protein that has been proven to help you burn fat and build muscle. But, it doesn’t stop there. Whey also has some great health benefits! Whey contains biologically-active peptides β-Lactoglobulin and α-Lactalbumin which enhance lymphatic and immune system responses. It contains tryptophan which improves your cognitive performance under stress, helps you sleep better and speeds wound healing. Whey also has lactoferrin which is antibacterial, antiviral and rich in antioxidants. Glutamine is a conditionally-essential amino acid. If you have chronically low blood glutamine levels (which is common after training), it compromises immune system. Glutamine helps fuel your immune system. If you are interested, try 5-10g around training time (e.g. after and/or before). Vitamin D improves not only your health, it also improves your performance and decreases your risk of injury. Because many people where we live are deficient, supplementation can be a huge help. 25-100mg/d of zinc has been shown to reduce cold symptoms and help limit upper respiratory tract infections. It may also enhance your immune system. Fish oil contains essential fatty acids which are commonly deficient in the North American diet. Replacing this deficiency can improve your health, reduce your risk of disease, improve body composition and reduce inflammation. Often called an “immune herb”, Echinacea helps diminishes the onset of cold symptoms. This is a natural sugar from yeast that helps with immune health. Research on athletes shows significantly less cold symptoms in endurance athletes. Bring on the cold and flu season – now your ready!